Before I proceed, our bestselling Blind’s at present are Wooden Venetian Blinds, massing well over 70% of our sales! So they are REALLY popular! Let’s have a look as to why these blinds are so popular. Wooden Venetian Blinds are seen as the ultimate stylish window treatment which provides a sophisticated silhouette with unrivalled functionality. These Blinds prove very effective in sitting rooms, where people can reap the full benefits of a clever, classic design. So if you are on the lookout for new blinds for your sitting rooms or for that matter any other rooms in your home, these are the perfect solution. If one word could describe Wooden Venetian Blinds, it would be functional. Why? They offer a high degree of rotation that ensures precise light control along with privacy. Due to the natural strength and durability of wood, it means that these blinds will stand the test of time, and thus making them a very cost-effective solution. Wooden blinds are a truly beautiful window dressing to have in your home. Wood brings a natural distinct beauty through its warmth and texture. Versatility is a word that really defines the natural beauty of wooden blinds. The natural qualities of their style means that they can be installed to suit any type of décor. Whether you have a cosy small home with traditional furniture with carpeted floors or a modern open-plan home with lots of light and sleek furnishings, wooden blinds will work very well in either case. Plus there isn’t an issue when it comes to matching colors as there are 14 colors to choose from. Thus there won’t be a problem getting a shade to match your room surroundings, no matter if you live in a period property or contemporary new build. Wood is a naturally warm material, both in terms of its insulation and energy efficiency, along with the cosy, comfortable style it exudes. The loss of heat from your room is drastically reduced when the blinds are closed which creates a strong barrier. Should you live in an older property, your blinds will protect against unwanted drafts also. With the installation of wooden venetian blinds, your home with benefit from enhanced thermal efficiency during the colder months, making sure that you and your family will stay warm without having to turn up the temperature. At Kavanagh’s, we have 14 colors in our Wooden Venetians to choose from. So if it’s a modern colors such as cream, pearl or slate colors that you want for your contemporary home or looking for a more traditional pine or sugar leaf we have you covered. 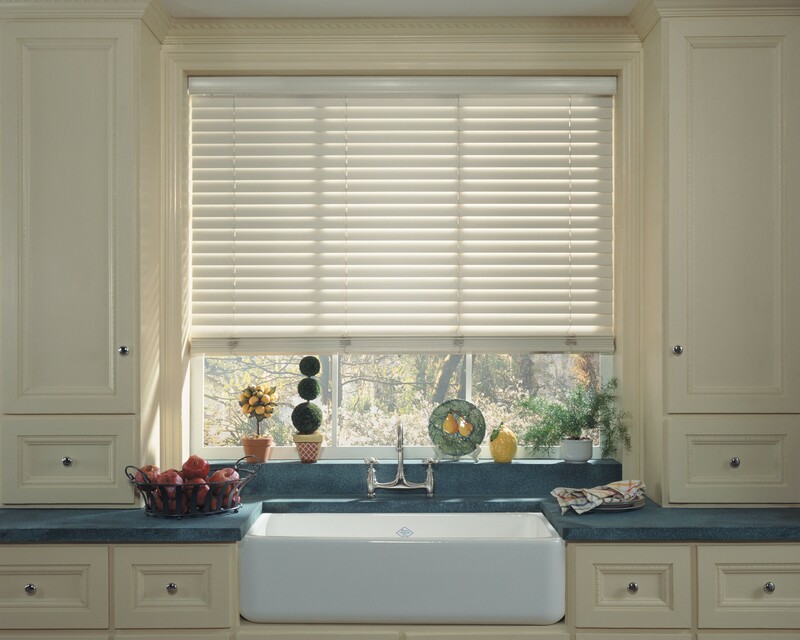 You can also complete the blind with a tape finish which can be matched to your wood color. Our Wood Venetian Blinds are completed with high-quality hardware and a coordinating head rail, ensuring that they look great from top to bottom. Wooden Venetian Blinds also offers the added benefit of noise reduction. This can be really advantageous if you live in an urban area, or on a busy street or have noisy neighbours! Of course, no window dressing or blind can guarantee a full reduction of noise from outside, but wooden venetian blinds can provide an effective barrier that makes your home more peaceful. Due to the high level of slat rotation, you can obscure your view from the outside by simply turning the slats which will also help you feel more comfortable and relaxed in your home. Wood Venetian Blinds also offers an additional window dressing opportunity, particularly for curtains. By combining your window dressings, you can add another dimension to your room, which will create an even more eye-catching window arrangement. Wooden Venetian Blinds work really well for Bay Windows. By choosing our made to measure blind fitting service, you can purchase bespoke wooden blinds that will precisely fit your windows which offer full functionality while still looking great. Plantation or Wooden Shutters may also be an option which Kavanagh’s also provides. If you want good visibility and want to make the most of the natural sunlight, opt for large slats or louvres or choose narrow ones if you require more privacy. Tier-on-tier shutters also allow a top and bottom section of the shutter to open independently. Sometimes Wood Venetian Blinds may not be the best option for you and thus Faux Wood Venetian Blinds may be the answer. Our Faux Wooden Venetian Blinds are made from PVC, which makes them water resistant and very durable. If you have a busy home with kids and pets, these blinds might be the best solution for you. As Faux Wood Venetians to the naked eye look very similar to Wood Venetian Blinds in terms of authentic looking wood, they still provide the same beauty and warmth of a natural style. However you can still enjoy the added benefit of easy cleaning and maintenance and you won’t need to worry about warping, bending or fading over time. Discover the best Wooden blinds for your home by contacting us today for a FREE quotation.